A nip in the air, breezy evenings and café-style outdoor seating. This could very well be an idyllic scene in a European town or even Bengaluru or Mumbai, closer to home. 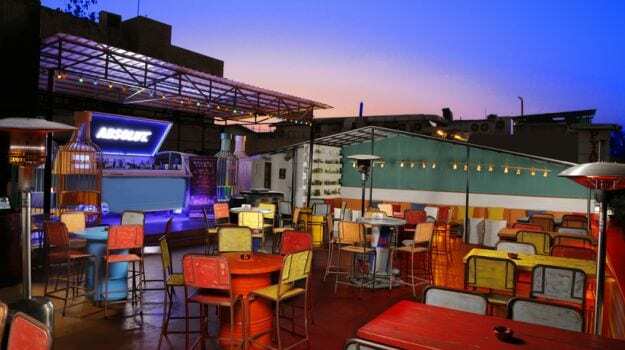 Delhi has eyed its cousins with envy, as they flaunted their sky-bars and casual outdoor cafes. Alas, Delhi weather never allowed the city to indulge. There are all of two and a half months in the year when the weather is perfect to sit outdoors in the city. Mid October till early December and once the mind-numbing winter ebbs, the month of February. The rest of the year, Delhiites are either hiding inside air conditioned rooms or are cuddled up in their thick quilts, hands wrapped around a warm cup of coffee. Thankfully, the restaurant scene has been changing since the past few years and with the introduction of Hauz Khas Village into our lives, we said hello to open-air terraces. HKV may have lost its sheen but eateries across the city took a hint and terrace seating started springing up in almost every area. The municipal laws of the city are also a great hindrance as the sealing of Connaught Place and Khan Market terraces was proof. 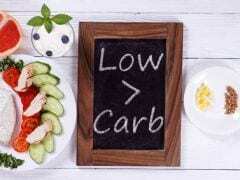 However, the Government of Delhi hopes to do something in this regard. Last year, Kapil Mishra, Delhi’s Law Minister, wrote an official letter to Manish Sisodia, Deputy Chief Minister, Delhi, regarding this matter. He requested him to look into the prospect of allowing organised restaurants with the adequate licences to serve food and beverages in open spaces. He argued that tourist-friendly cities like Paris and London are popular for these, why should the capital of Delhi be left behind? 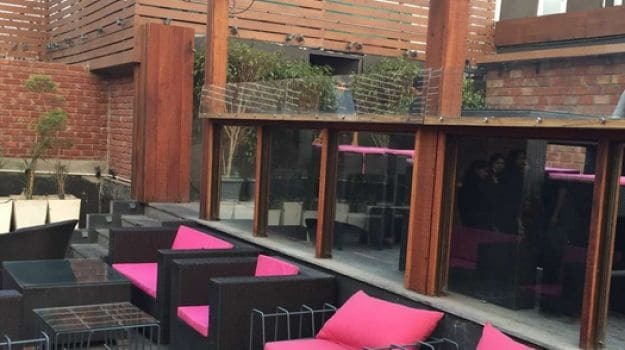 The terrace at Shalom, also called S-Bar, has been renovated and is now known as Laid Back Cafe. The good news is that it is now open and ready to serve regulars and newbies alike. The terrace is probably one of the best ones in this part of the city, and surprisingly spacious and spread out. With a glass-enclosure for the peak of winters, there are plenty of options under the stars too, ranging from high tables to sofa seating. Shalom enjoys the patronage of regulars and is almost always booked out so make a reservation, especially if you’re dropping in on Sufi night (Wednesday and Saturdays). Else, walk-ins are allowed but you may be asked to vacate the table at 9pm. Happy hours are on till 7.45 (which is a relief as the drinks are pricey) and on Saturday you get 1+1 all night long. Go now, before word gets out! 2. Lord of the Drinks: A surprising entrant, Connaught Place does not boast of the best crowds. Add to that, the honking from the congested outer circle and one may be wondering how a terrace could be blissful in CP. Fret not. Try Lord of the Drinks and you will know how. The resto-bar itself is spread over a massive space and interiors inspired by the medieval times. But it is the terrace that you should reserve a place at. The terrace opens at 7pm and has a variety of seating including sofas and high chairs and tables. A large bar dominates one corner and walls separate the cacophony of the road outside, cocooning the terrace and allowing you to enjoy your evening in peace. Great to hang out with friends or family, Lord of the Drinks does not allow children. 3. 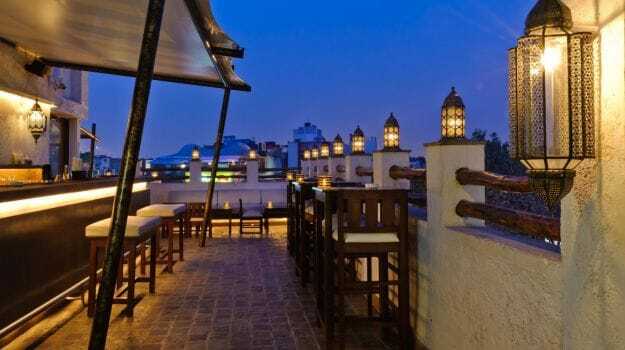 Town Hall: The only terrace worth its salt in Khan Market, Town Hall earns its spot in this list. 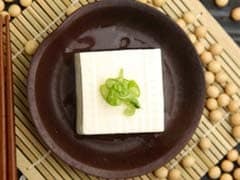 The sushi is fantastic, the pizzas passable and the rest of the menu avoidable. But for a drink with friends, under the starry sky, this is a great option. 4. Cherie One- Qutub: Though Lavaash in the vicinity boasts of a lovely terrace with views of the Qutub Minar, it is yet to be seen how well they service their patrons seated so far from the kitchen. In the Qutub Minar area, give the more popular Olive Bar and Kitchen a skip and head to the underrated Cherie One. Choose between seating in the courtyard or on the terrace. The lights, the white drapes and the delicious Sangria, all make for a wonderful evening. 5. Stone: It’s a wonder that no one in Defence Colony Market has yet thought of capitalizing on the terrace-seating craze. 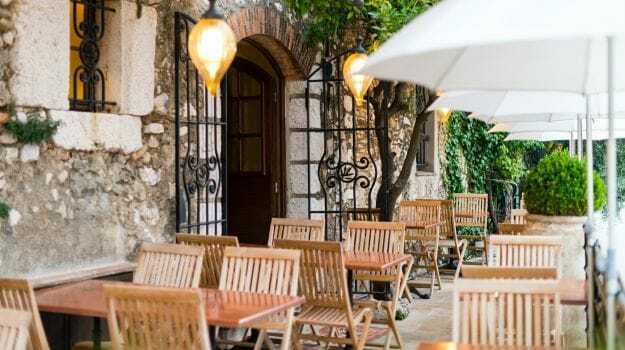 A couple of restaurants have squeezed in a few tables on their terraces but the only place which manages to create some sort of an atmosphere is Stone. One of the older places in the market, the terrace is small but lit up with fairy lights and quite lively. Happy hours makes it even more attractive. 6. 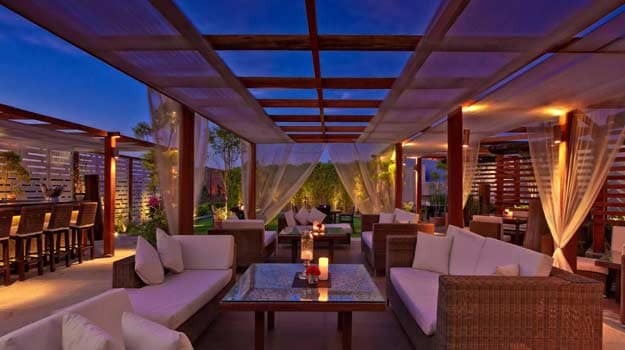 Kylin/ Set’z: Clubbed together due to their location, both the Sky Bar at Kylin Premier and Set’z at Vasant Kunj are great outdoor options. Kylin has a dream-like quality to it and popular as a venue for bachelorette parties and the like. Set’z excels in the food department, with each of its seven kitchens outdoing the other. 7. 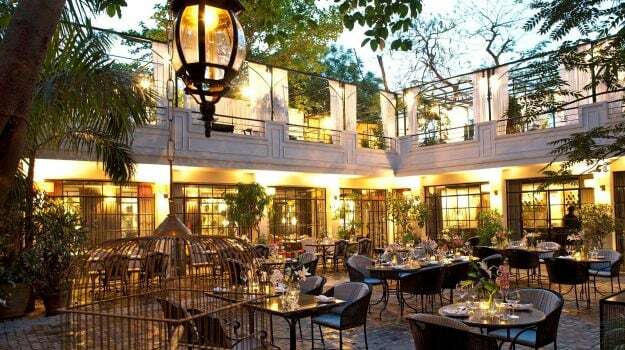 Summer House Café: In august company, Summer House Café in Aurobindo Market is more chilled-out and relaxed. The terrace on the second level has an option of high tables as well as sofa seating along one wall. The vibe is upbeat, the music loud and the crowd young. Try the pizzas here, they are good. Happy hours pertain to the cocktail pitchers too. CommentsThe good news is that these are just some of the favourites. There are plenty of other options like Rose Café, Q’la, West View, The Fatty Bao and Bohemia to name a few. So enjoy the perfect weather while you can and book your table for the weekend. An evening under the stars is on the cards.